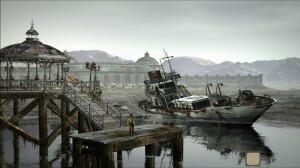 Syberia (full) is now available for Android devices. Microïds has launched the Android version of the classic adventure game and it is available for $4.99 at the Play Store. 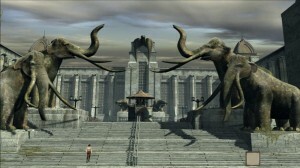 Syberia was originally released in 2002 for PC, and it was quite well received. It was created by Benoit Sokal, developed by Microïds, and published by The Adventure Company. It is a third person graphic adventure in which we must solve various puzzles throughout the history. It has a classic style game in which the main character can’t get stuck in any point of the game and it can’t die either. The story is centered on Kate Walker, an American lawyer who arrives at the French Alps to handle the sale of the automaton factory Voralberg in the fictional town of Valadilene. Upon arrival, he finds out that the heir of the factory, Anna Voralberg, has died. Together with the notary, they search for the heir they had to deal with to close the purchase of the factory, Anna’s younger brother. However, he had been presumed dead since he was involved in an accident years ago, so Kate must travel for Central and Eastern Europe searching Hans Voralberg and unraveling the secrets of the old family. The characters are interesting and rich, like Oscar, the automaton created from Hans Voralberg’s drawings, or Momo, the orphan child of the town. Aside from the main plot, there are several subplots that catch our interest and give an extra dimension to the game. Overall, the story is very interesting and exciting, and the graphics are spectacular. It is a very good adaptation of the original game, and if you like adventure games, this is one of the great titles of the genre. Find more information at Microïds’ website.